channel ORANGE may be Frank Ocean’s first studio album, but by the time of its release, the 24-year-old singer already had a laundry list of accomplishments under his belt. Beginning as a songwriter for the likes of Justin Bieber and John Legend, he later joined up with the Odd Future crew, singing and rapping on some of their tracks before raising his profile by releasing his first (very album-like) mixtape, nostalgia, ULTRA, to critical acclaim. Then in 2011, he appeared on Jay-Z and Kanye West’s blockbuster, Watch The Throne, which turned Ocean into one of the most hotly tipped new artists of the year. All of this goes a long way toward explaining why channel ORANGE sounds as mature and assured as it does, especially considering the youth of its creator. Right from the start, Ocean sidesteps a lot of the common complaints about contemporary R&B—that it’s too slick and polished; that it slips too close to bombastic dance-pop; that the vocals are so finely produced, it drains them of all emotion. He instead takes a relatively minimalist approach, employing very little else besides a beat, moody synths, sparkling keyboards and the occasional string section or John Mayer guitar solo for a touch of drama and flare. And while there are more technically skillful vocalists out there, Ocean is a gifted crooner, singing with more real fragility and vulnerability than his peers. In short, Ocean and his assisting producers created an album with an easy, affable flow that kind of goes where it wants, touching on ’70s soul, ’80s electro and ’90s R&B, while sounding fully engaged with the present. 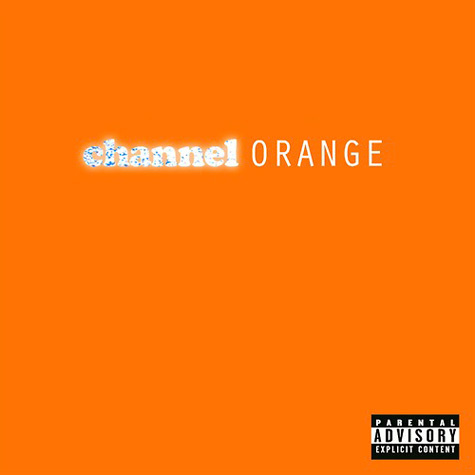 Consequently, channel ORANGE hits the pop highs (“Thinkin Bout You,” the breezy “Sweet Life”), the emotional valleys (“Bad Religion,” “Pink Matter”) and the ambitious centerpiece (the Cleopatra-through-the-ages epic “Pyramids”) with equal aplomb. Though it doesn’t approach their level of songcraft, Ocean’s music often suggests an updated take on Stevie Wonder and Prince, matching the former’s sunny melodies with the latter’s sexual fantasies and robotic funk. The week before the album’s release, Ocean posted a letter to the Internet originally written for the liner notes. In it, he movingly described the tale of his first love: a man. Fans and critics anticipated this revelation would introduce all sorts of new subtext to channel ORANGE‘s songs, and if you’re willing to read into some of the lyrics—just who is this “you” in “Thinkin Bout You”?—there’s that. However, he’s more likely to wield his storytelling gifts on tales of emotionally detached teenagers (“Super Rich Kids”), drug-dealer girlfriends (“Pilot Jones”) and the paradise that is “the black Beverly Hills” (“Sweet Life”). Ocean only really directly addresses the letter’s situation on “Bad Religion,” a taxi-cab confession of unrequited love set to church organs and lavish strings. Notably, it’s the record’s best song. When the cabbie suggests prayer to heal his wounds, Ocean cries out, “If it brings me to my knees, it’s a bad religion,” an emotionally potent line that works on multiple levels. As debut records go, it may not quite be an out-and-out classic—the momentum dips a tad more than it should—but channel ORANGE bursts with promise and announces the arrival of a major talent.